Mexican culture is a blended mix of indigenous cultures and European customs. The country like most other large countries has significant differences between each region of the country. You then have further differences among expatriated citizens living abroad (Ex: Mexican Americans). In general, Mexicans have a strong attachment to their region and to their state. It is a very complex culture that has many different ethnicities within it. Northern Mexico: is very arid (Like the neighboring American states) and this has impacted the lifestyle of the people living there in how their people have survived and how they eat. It has ties to indigenous cultures namely nomadic peoples such as the Comanche. The north has had a history of being a bit unruly since it's vast and many areas are sparsely populated. It is considered a key corridor in various forms of smuggling into the United States. The major cities near the border zones that popped up in the 20th century have dealt with drug-related violence and corruption for years. Central Mexico: is very urban. It has been a center of both indigenous civilizations (Specifically the Aztecs) and the colonial governments. In modern times it has housed the capital of the country. It is a crossroads where the different cultures of Mexico intermingle and this is reflected in its customs, food, and so forth. It also is a place where foreign workers come to work in major cities. The government has a slightly stronger control over this area than the north and south. It contains highland areas such as the Sierra Madre and the altiplano. These areas are much more rural. South Mexico: is very tropical and humid. The Mayan culture was very strong here and is where many indigenous peoples still live. There have been tense conflicts and unease in the region between the government and indigenous groups. The most notable example of this is the Chiapas conflict. Given its location, it also has influences from the Caribbean in its style. The region, in general, is a crucial transit point in human trafficking and narco-trafficking. The region is vast and the government has had difficulty in law enforcement in the area. It borders Belize, Guatamala, and Honduras(via the gulf). Mexico is a very homogenous society and the biggest groups outside of Mexicans are indigenous peoples (Nahuas, Otomis, Mayas, Zapotecas, Mixtecos, Tzeltales, and Tzotziles. Since the twentieth-century emigration has been a big issue for the country and has had a severe impact on its relations with the United States. The causes for this have been typically related to economic reasons, war(During the various civil wars) and corruption. It's not unheard of for residents in border areas to work in the US legally or illegally to support their families in the border cities. The trend has had ups and downs over the years. Spanish is the official language of Mexico. Depending on the region of Mexico speech can vary. Its mainly influenced by Spain but it has developed into its own unique form of spoken Spanish. It has loan words incorporated from indigenous languages. Given that the US is its largest neighbor there is some influence on the country in the language in border areas. The main indigenous languages are Nahuatl, Mayan, and Mixtec. A decent portion of Mexicans identifies to an extent with indigenous groups. There are many other languages around and even more that have gone extinct. Many indigenous peoples do not speak their native language and this has played a role in Mexican politics throughout the 20th and 21st century. Catholicism has historically been the dominant religion in Mexico since colonization. Some regions of Mexico mix Catholicism in with native traditions. 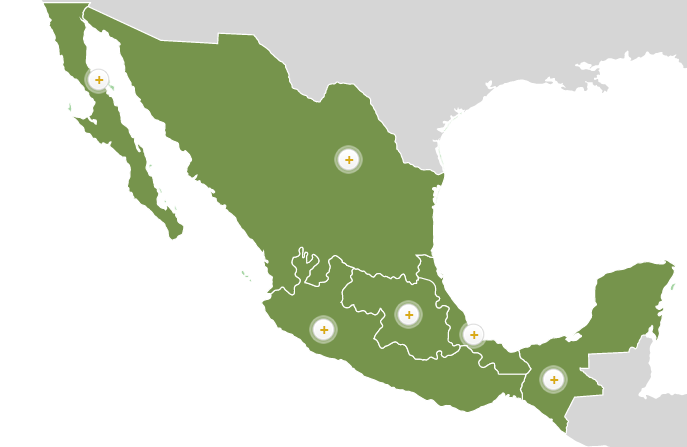 Due to immigration, other religions are present in Mexico, especially in the central region. From other sects of Christianity to Jews and other religions. Some indigenous groups haven't synthesized with Catholicism but their numbers are much smaller than all the other religions. The Catholic Church has played an important role in Mexican history. Since the colonial days, it has been extremely powerful and influenced the political structure of the country. For much of the nation's history, it has supported the conservative factions and aristocratic classes. This has especially been the case in many of Mexico's coups, revolts, and revolutions. At the same time, it was the Catholic Church that established healthcare in the country and other positive social programs. It used to have vast land holdings and money at its disposal. When La Reforma came about its power was curbed. Since that point in time, the government has been at odds with the church over its influence in legal matters, records, and education. Despite its involvement in politics, the Catholic Church plays a strong role in symbolism for Mexican culture. The Virgin of Guadalupe is one of the most important symbols in the country and abroad for Mexicans-Americans. Soccer takes the spotlight when it comes to sports in Mexico. The country performs very well internationally in the sport and this success is mirrored in boxing. Aside from these sports baseball and basketball are also highly viewed. The class divide has been a critical source of conflict in the nation's history. There has always been an unequal divide in resources. Poverty is widespread throughout the country and to an extent, status is linked to ancestral ties. Many of the poorer classes are largely Mestizo while a fair amount of the rich were aristocratic Europeans. Indigenous groups are by far the poorest out of all the racial groups. The rich seal themselves off from the rest of society by keeping armed security and living in walled-in communities. Despite this serious divide, many poorer people go out of their way to have grandeur clothes and expensive objects(Like cars). This societal trait has played a role in encouraging the narco-culture in the nation. The difference in a family's class directly coincides with whether or not they use public or private schools, clubs, and other facilities. Like many Western countries its expected that lower classes follow certain rules when it comes to interacting with upper classes. Mexico has always had a very turbulent history when it comes to crime. From the lawlessness in the frontier regions since colonial days to the 1990's when Mexico became a key transit point for several drugs. The rise of organized crime in Mexico is directly tied to the power vacuum left behind when South American cartels were dismantled. Since then crime has increased across the board and so has the violence involved in them. The government has persistently been ineffective in stopping the cartels especially when it comes to law enforcement. It is an issue that impacts the daily lives of Mexicans. The military has been playing an increasing role in combatting traffickers over the years. The United States has also participated extensively in the Mexican drug war, sometimes in controversial ways. The day of the dead (Dia de Los Muertos): It's a holiday that is meant to celebrate ancestors and loved ones that've passed away. As a part of this shrines are built inside homes to honor the dead. Festivities occur outside on the streets and at businesses. Parties in general may involve pinatas. Quinceaneras are important events for girls coming of age at fifteen years old. The feast of Our Lady of Guadalupe: It is a holiday done on December 12th to essentially celebrate the birth of Catholicism in the country. Christmas: Christmas is done a bit differently and takes place on the 6th instead as Día de Los Reyes when the three magi came to give the baby Jesus gifts. Good guide for anyone wishing to start up. Good to see this type of stuff. Hi! Great guide, most of it is on point. However, this part is off. They celebrate Christmas like everyone else. Most of the festivities, Catholic mass, and family parties happen on Christmas Eve. They call it Noche Buena, the 'good night'. It's generally the same holiday. Roast pork & LOTS OF FOOD. January 6th, the Dia de los Reyes, is a separate holiday for the children. More gifts!